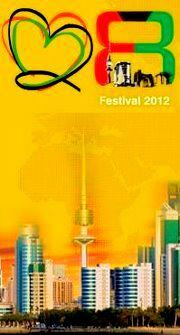 The biggest festival of 2012 in Kuwait. Participating more then 12 Countries and 500 Companies from inside and outside of Kuwait. 1: A great opening ceremony with Fireworks, Laser and Light shows. 2: Different performances by youth. 6: Hosting a Fashion Show for the Summer 2012. Booths are available for participation.